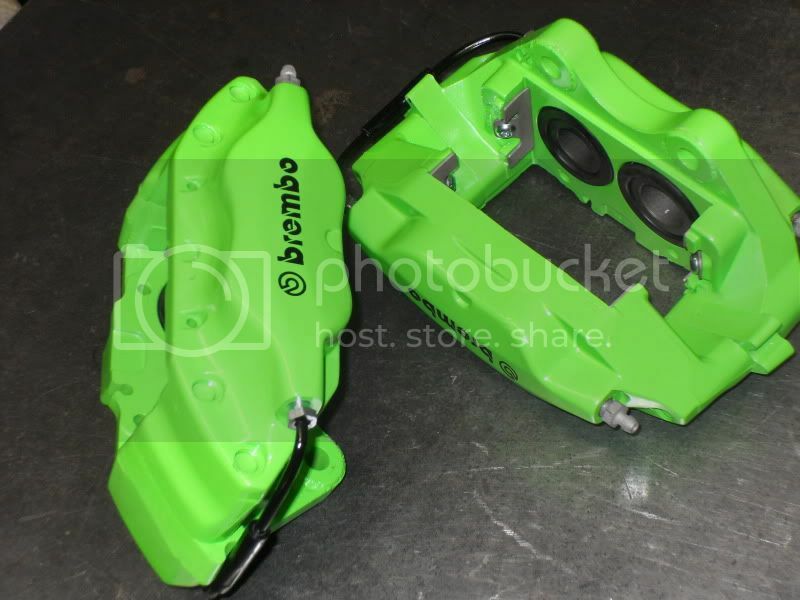 Just to add , here is a sample of our Brembo caliper refurb , we had a guy the other week with a Pug 106 gti and wanted to fit Pug 406 coupe calipers on , we did them Kawazaki green , the pictures dont do them justice , they looked wicked ! 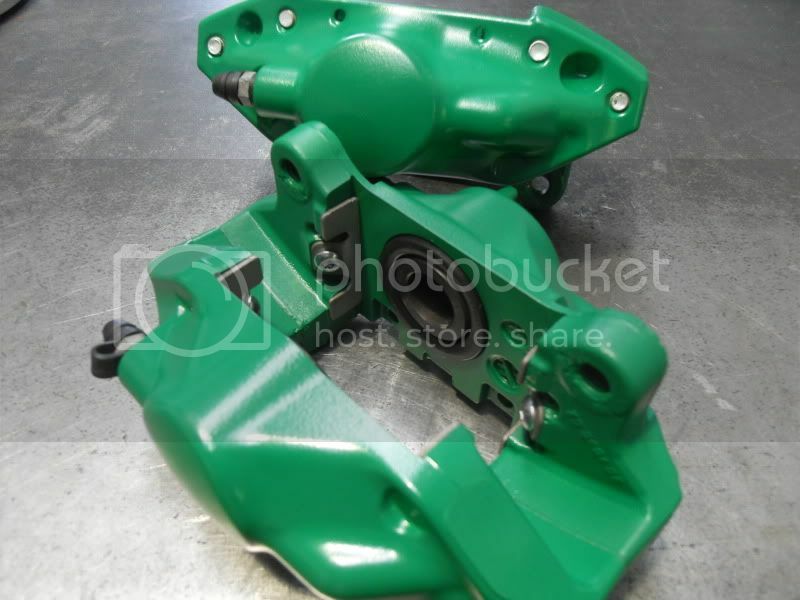 No I dont have any brembo's to offer on an exchange basis , you can send yours in for me to do and they take us 2 full days to do them , allowing for the paint to dry properly for them to be built back up. 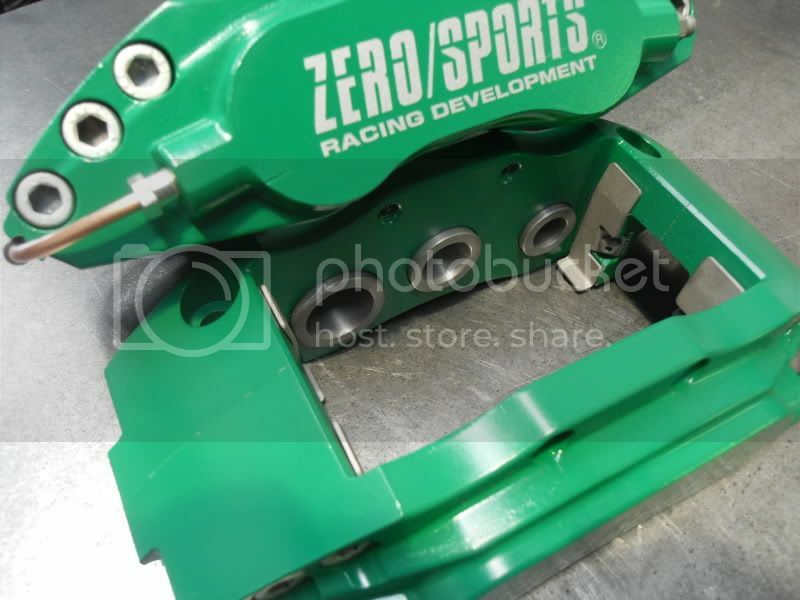 We charge £65 a caliper to strip , paint strip , bead blast , prime and spray them any colour you want , we polish the pistons , and if the seals are undamaged we chemically clean them and rebuild the caliper , if the seals have any splits or damage , we renew them , and this add's £45 for the cost of the fronts , and £35 to the rears , the price for seals are per caliper. do they peel with heat? wow thanks Ian they look excellent! Last edited by Godspeed Brakes; 20 August 2010 at 08:22 AM. ok will see if i can find the part number and try subaru dealers if not i will be back in touch , wouldnt it be cheaper if i buy just 1 four pot kit as i only need the dust seals and you get 4 in one pack ? or are the dust seals different size ? any pics of 2 pots you might have done Ian? as i have been p.m'ing you about wanting new seal kit & pistons etc, might just hang on & send them in to you to be done & coloured. Oh & can you list prices? or is it same as the 4 pots? £65 p/caliper, plus seal kit plus pistons? Last edited by timmyajmy93wrx; 24 August 2010 at 12:17 PM. whats the approx turn around time please? & quite fancy that purple that D2 brakes are, is that possible!? Do you have any refurbished single piston rear calipers (in red) for a Classic V5 STI in stock? If so how much inc postage. Hi Ian, if you're after some 4 pots I have a set not needed anymore, would you exchange for some rear pads, ferodo 2500? They're off an MY04 WRX? Just a quick thanks to Ian for the stainless steel pistons set as I've finally got my 4 pots refurbed. Great quality (imo),fantastic delivery service and the 4 pots now feel a lot more assured (The OE ones may have done the same job but at least Ian's won't rust ). I can strip , paint strip , bead blast , prime and spray them , chemically clean the seals ( as long as they have no damage ) polish the pistons and rebuild them for £65 per caliper , if they needed new seals , they are £50 per front caliper kit , and £35 per rear caliper kit.